Download and install TouchCopy 16 . Connect your iPhone using your USB cable. Click the "Calendars" tab from the media list on the left of TouchCopy. Press the "Copy to Mac" button in the tool bar at the top. Select the location you would like to copy your calendar to. TouchCopy is a great all-in-one solution for any iPhone to computer transfer needs. It can copy calendars, photos, music, messages and more from iPhones, iPods and iPads to your computer. 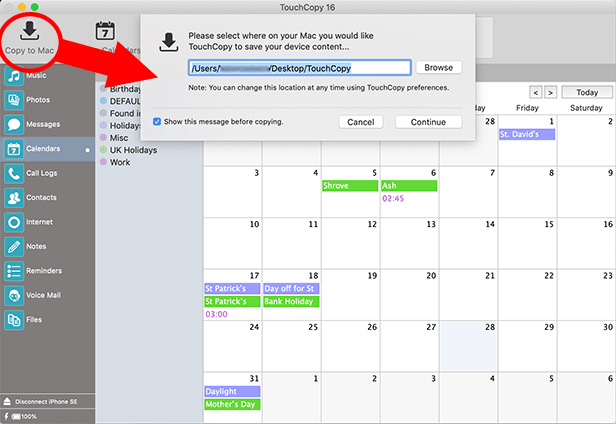 Make sure that your device is connected with TouchCopy on your computer so you can access your calendars through TouchCopy. 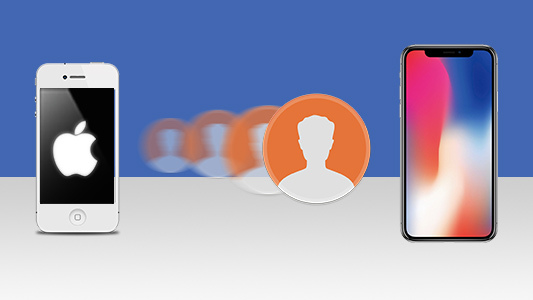 To connect your device to TouchCopy 16 when first opening the application you should link your device and then press the "Connect" button to link your device. 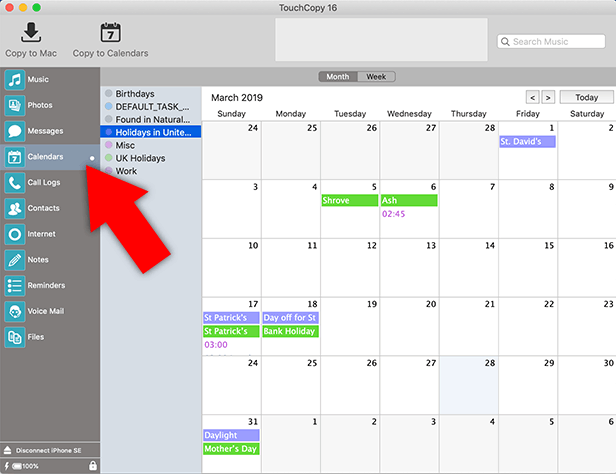 To go ahead and sync the calendars to Mac in TouchCopy, you'll need to click "Calendars" from the list of media types displayed on the left-side panel of TouchCopy. Once clicked this it will display all the calendars on your device. If there are any calendars you would like to copy onto the Mac individually, click on the separate calendar that you wish to go ahead and copy and then click "Copy to Mac" to save the calendars as iCal to your Mac, or "Copy to Calendars" to copy the calendars directly into your Calendars app on your Mac. If you've saved a calendar to your Mac using TouchCopy, but you'd now like to import it into Apple's Calendar app, it's easy! Simply open your saved iCal file. This will open in the Calendar app by default. You'll then be prompted to add this calendar to your existing calendar in the app. Export Calendars, Messages, Music and more from iPhone to your Mac. The easiest way to export iPhone Calendars to computer. Copy anything from iPhone to Mac or PC!